This firm has long enthusiastically supported the use of arbitration clauses in contracts for the extension of credit, and arbitration clauses have been extensively utilized and litigated throughout the United States. However, many collection professionals are unaware of an alternative to arbitration available in California: Judicial reference. California Code of Civil Procedure, Sections 638, et. seq., creates the statutory framework for judicial reference. It requires the court in civil litigation to appoint a referee to “hear and determine any or all of the issues in an action or proceeding, whether of fact or of law…” However, this can only be done if the parties agree during the litigation, or if there is a written contract between the parties requiring judicial reference. It functions in a similar way to an arbitration agreement: the underlying contract contains a provision calling for all or certain issues to be determined by a referee. The parties may then bring a motion to enforce that contractual provision. If the court grants the motion, it appoints a referee, either at the parties agreement or by the court unilaterally. Although a judicial reference bears many similarities to binding arbitration, there are important differences which are to the benefit of the creditor. First, arbitration awards can only be reviewed or reversed in very limited situations by judicial review. The decision of a judicial referee, however, is equivalent to a court decision, and so the parties have full appellate rights. Second, referees must comply with the rules of evidence, while arbitrators frequently take a free hand in considering whatever evidence is presented, regardless of admissibility. Finally, enforcing third-party discovery requests can be difficult in an arbitration, since the arbitrator lacks jurisdiction over anyone outside of the parties. A judicial referee, however, has all of the powers of a sitting judge, and so can compel third parties to comply. But It Is Similar to Arbitration. In addition to these advantages, judicial reference maintains all of the advantages of arbitration. The parties have control over who acts as referee. Scheduling is faster and easier and allows for a quicker resolution. It avoids any possibility of a jury. The parties have the ability to craft discovery rules. Unfortunately, one of the major disadvantages of arbitration also applies: it can be expensive. Although Section 645.1 allows the parties to agree to how the referee will be paid, the referee will need to be paid. 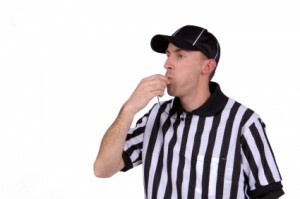 As most referees are retired judges, or at least highly experienced attorneys, hourly fees can be $500 to $1,000 or more. Judicial reference is an alternative to arbitration or litigation available on California. Although it is similar to arbitration in many ways, it presents some additional advantages, such as the right to appeal and clear rules of evidence. A clause requiring some or all issues to be decided by judicial referee is a good drafting tool for creditors to consider inserting in their credit applications and other agreements.